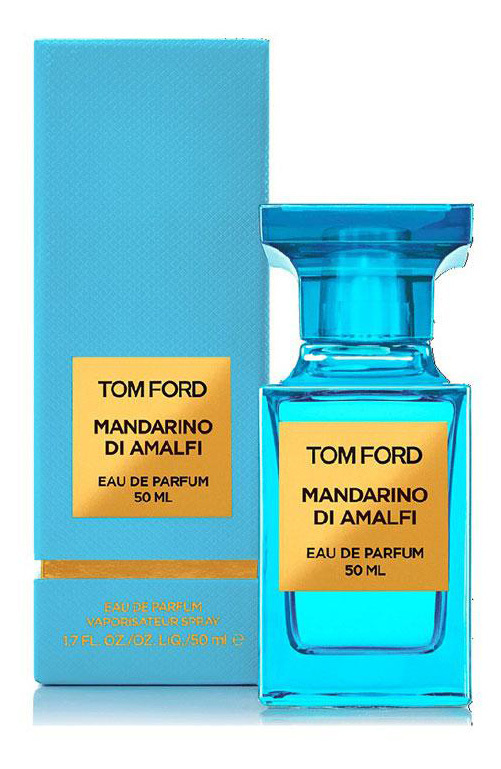 Mandarino di Amalfi (Eau de Parfum) is a popular perfume by Tom Ford for women and men and was released in 2014. The scent is fresh-citrusy. It is being marketed by Estēe Lauder Companies. The scents of Tom Ford are not bad, according to widespread opinion, but also not cheap. From a citric summer scent, which is applied due to a relative volatility at least 2 times, better 3 times a day, one expects then naturally a high quality - if one lets evaporate already one millilitre after the other in the sun. Mandarino di Amalfi lives up to this claim. The "mandarin", which is actually grapefruit, bergamot and lemon according to the pyramid, is citrus-fresh, so that one immediately thinks of clear sea water, palms and cocktails. But I would like to illuminate another main theme of this fragrance: Soap! Musk and orange blossom give you the feeling of not only wearing a clean fragrance, but a hygienically pure fragrance. And this note sets the perfume apart for me from the citrus competition. Showers, mandarin soap and off to the sun! Unfortunately I can't filter out the other notes, but I'm sure that every essence contributes its part to the overall impression. Durability and Sillage are average. Unfortunately I always found the sharp-edged bottles with plastic lids from Ford a bit ugly. The only thing that stands in the way of an even better assessment: In the first 10 minutes the described soap is still a little too stinging. As soon as this wax-like opening, which is reminiscent of soap in its original form, a kind of household cleaner, is put in place, it gets better. So, Malle, hasta luego! Fresh citric notes aren't my favorite. I expected something fierce, comparable to 4711. It wasn't like that at all, it was a pleasant surprise! Prejudices, stereotypes, blanket attributions are usually considered devilish stuff. Anyone who is only a little interested in being regarded as sophisticated will stand up and say: "Modern art is basically nonsense" or "All Asians are deceitful"? I think it's better to be more relaxed, though. We're all prejudiced anyway. There's nothing you can do about it, it's how the human mind works. I got some, too. Sure. I even find them quite practical: they subdivide the over-complex world a little, so that you first have a useful rough orientation. From there you can find your way around in detail. No one can have a precise, well-balanced opinion within seconds on every political, moral, aesthetic and other individual question. In order to avoid prejudices, however, three warnings should be observed: First: One should only allow such prejudices which have at least a core of truth. If the prejudice is completely off track, it does not provide a suitable rough orientation and can cause damage. Secondly, you should be aware that you have prejudices. If you think your prejudices are the finished truth, it becomes very dangerous. Thirdly, it follows that one must always be prepared to correct one's prejudices on a case-by-case basis. If the truth always fits the prejudice, then the prejudice is not particularly good, but I have become mentally lazy. Such fragrance prejudices help me to find my way in the world of almost 150,000 perfumes (according to Parfumo's list by now:), especially by declaring a few brands to be "overrated, overpriced, snobbish" (and a few other cuddly favorite brands). I risk overlooking a good creed or considering a mediocre Guerlain to be good, but I accept that. For me, Tom Ford is one of the brands that I first put forward with a negative prejudice. I don't like them - beat me for it. But this fragrance here is for me the reassuring proof that I am not yet totally calcified in my prejudice, because it is so good that I cannot deny him my unlimited respect. I was already quite enraptured at the first test, and now, thanks to a generous and surprising gift-test of a nice perfume, I was able to try it extensively for the second time. What can I say, he has already been described here several times in the best way, and I had already contributed a statement: Fine, juicy and yet tender, sparkling and sparkling, magically balanced tangerine citric, interspersed with sometimes green-spicy, sometimes blue-aquatic, sometimes white-salty-mineral fresh notes; very cheerful and friendly, but never trivial or flat. A Hesperide with so much style and so clear character! In addition for a summer fragrance a decent durability: After three hours still with some reach into the room to feel, after seven hours still very gently close. There's nothing to remember about that. If it had been an Urban Scents, a Guerlain, a Harry Lehmann or a Pierre Guillaume, I would have given the 10. But there's that bad prejudice again, that doesn't grant Tom the top ranking.... What a thing! Citrus fruits by the sea. Two sprayers on my neck. I close my eyes and stand at a beach bar. The bartender prepares for his evening guests. He polished the glasses, filled up the supplies, chopped the ice, put cutlery in place and now he cuts a whole basket full of ripe citrus fruits into small, bite-sized pieces. Here, where the sea penetrates the land in small creeks, it smells of seawater heated by the sun, salt, algae and life. The aroma of juicy oranges and mandarins blends with the scent of sunlit seawater. Captured in an azure bottle. Relaxed lightness of being. Power and quality as a matter of course, completely unobtrusive. And yet full of character. Restrained like a prizefighter who knows his strength and is calm about things. A very attractive, unpretentious and high-quality fragrance. Perhaps because of its simplicity, great perfumery. Don't do too much of a somersault. Sea and citrus. Nevertheless very valuable and certainly versatile. Maybe even on cooler days. Even has something Christmassy about it, probably because of the tangerines. Not Amalfi. Playa de Maro in the afternoon. The waves rebuild themselves with great force and hurl against the sand, studded with large, smooth stones. I'm not swimming today. It doesn't have to be every day. I laze on the deck chair in the shade and read Hemingway. He describes a Spain which is completely foreign to me. My Spain is slow. An ice-cold Cerveza that makes the glass sweat like the midday sun makes the tourists on the beach in Málaga. I smoke a cigarette, even though it's not the healthiest. Doesn't always have to be. It smells like the sea, sunscreen and tobacco. Shortly after, I return to my book. Wave rushes, laughter and flip-flops that traipse over the sand. With the breeze I now smell my scent. 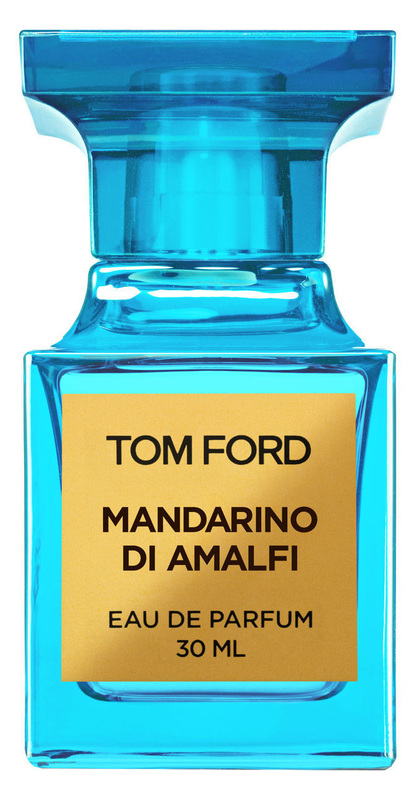 Tom Ford's Mandarino di Amalfi. It combines citrus aromas and a certain pepperiness. It starts very strong and ebbs off afterwards. Before the footpath from Nerja to Maro I sprayed it on and it gave me the strength to reach my goal through the sun in the scorching heat. And now, hours later, he's still with me. Just like me, he rests, closer to the skin, a little tired, but still as fragrant as before. The pepperiness is gone, he is not a guy who lets his muscles play and shines in the sun smeared with oil. He lies in the shade, breathes calmly and knows exactly that he has earned this breather. A three-day beard smell, one who just wants to enjoy his vacation. He doesn't have to prove anything. He smells warmer, the sun has made him sleepy, and little by little he will nod off and dozing by the sound of the waves. I will not describe the fragrance components in detail today. Doesn't always have to be. It's summer, some breeze is helping you out with the heat, and with the breeze comes the beautiful and natural scent of lemons. You breath deeply in and out. Some leaves and green in the background.